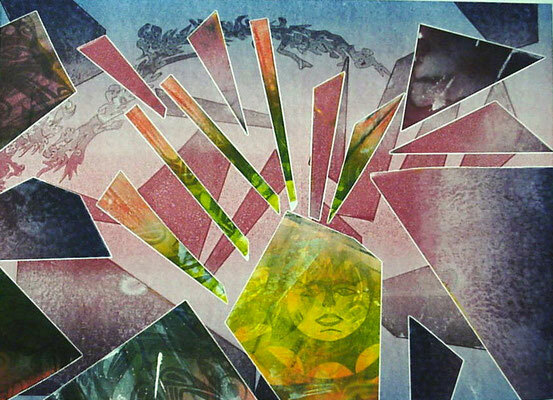 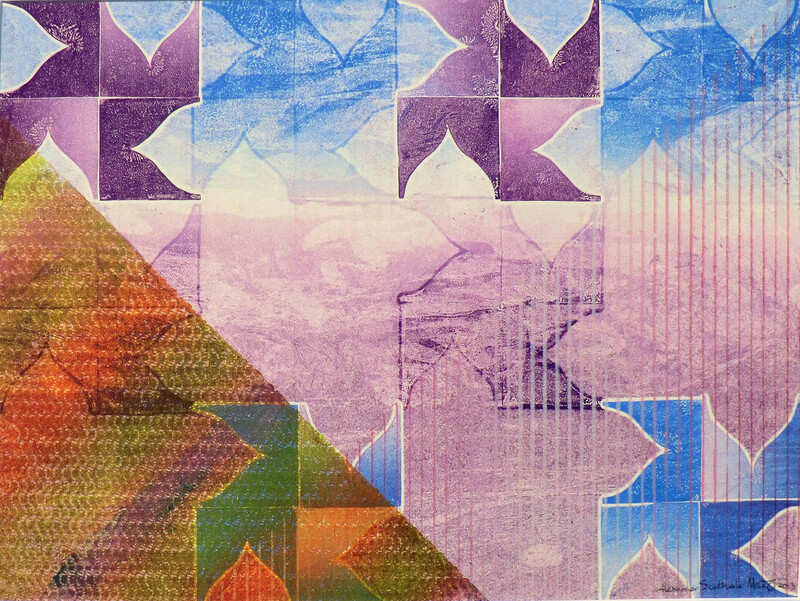 "Printmaking is a multi-step process and I see every printing session as an exploration,” Alex explains. 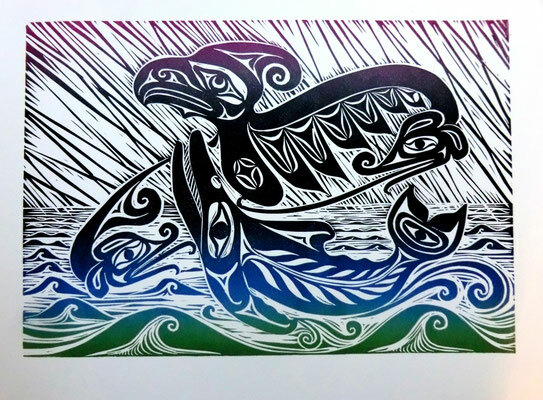 “It is always a surprise when I press the ink to the paper.” Though making prints is not a traditional form, Alex uses traditional designs as part of those pieces. 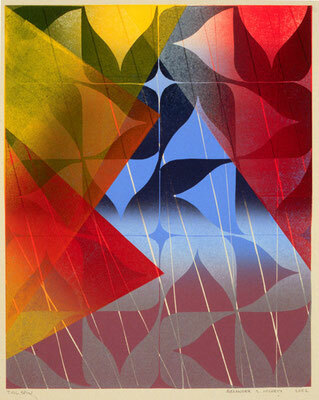 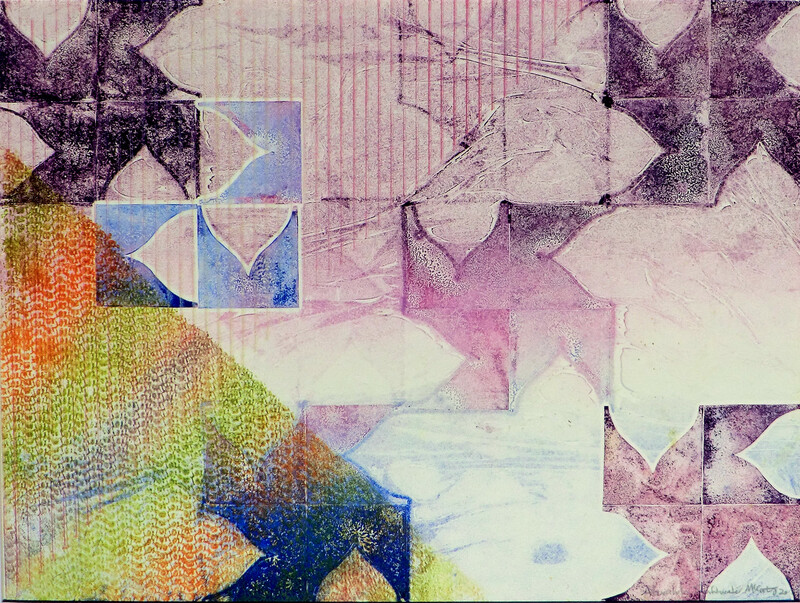 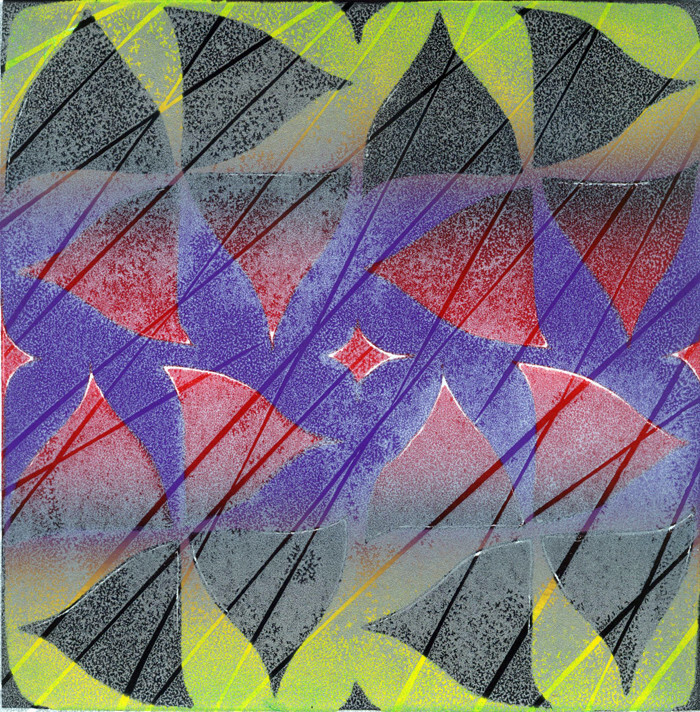 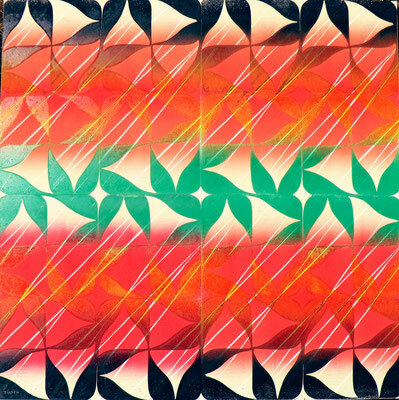 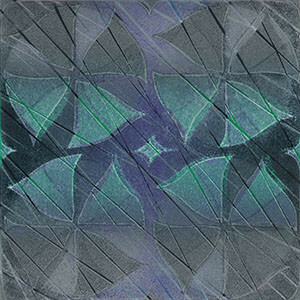 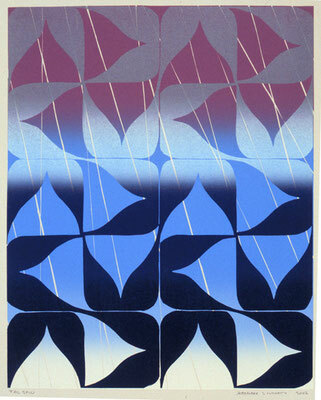 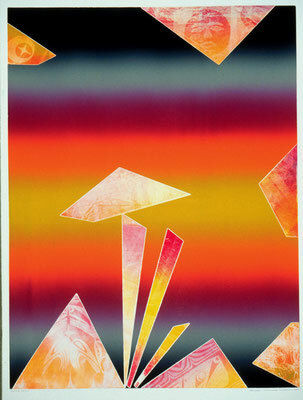 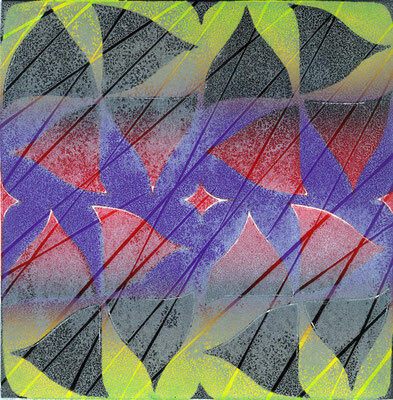 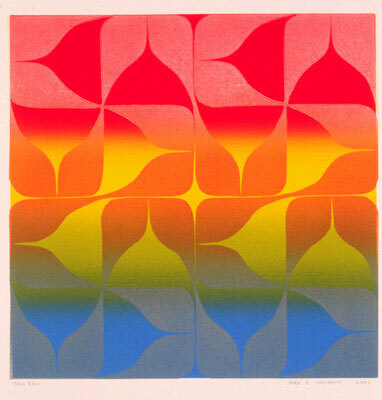 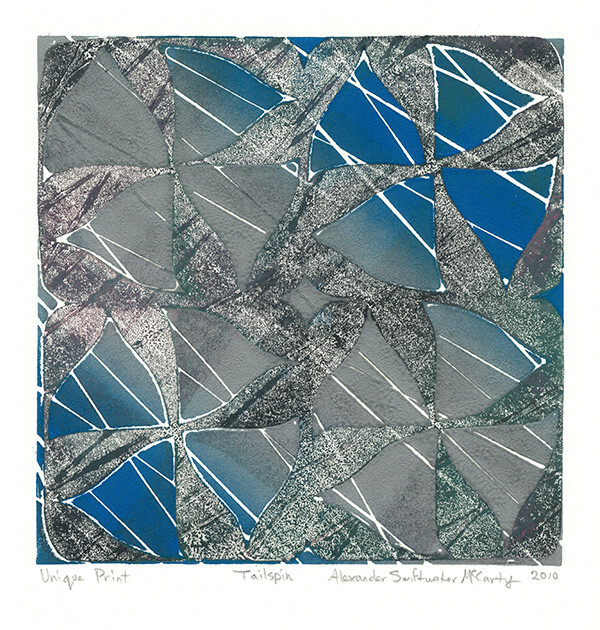 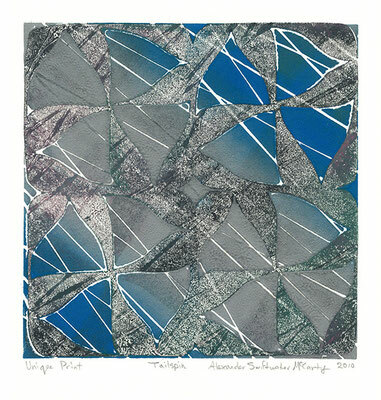 His contemporary prints, including his “Tailspin” series and “Culture Shock,” are each one-of-a-kind. 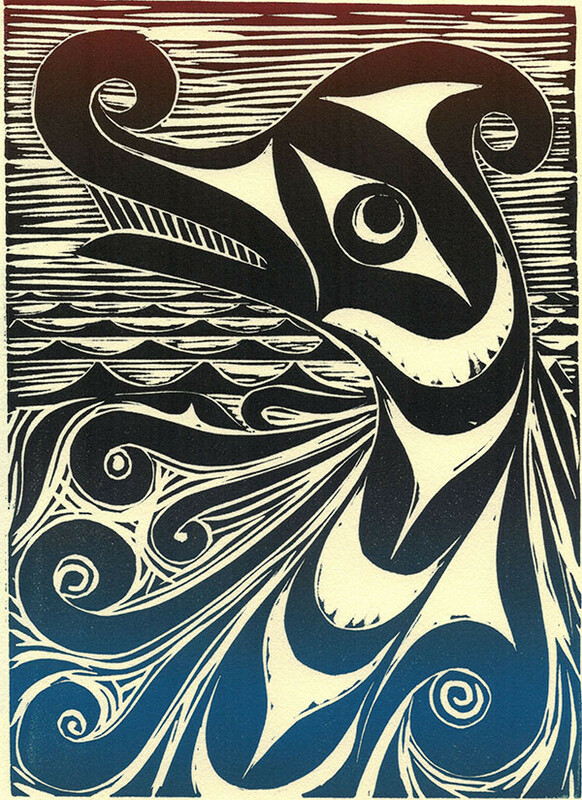 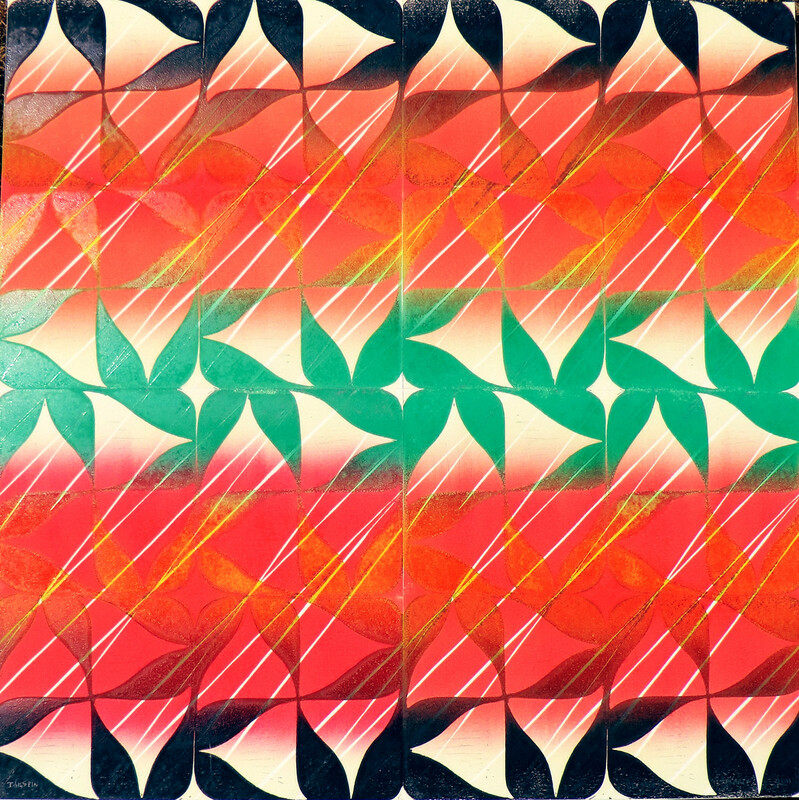 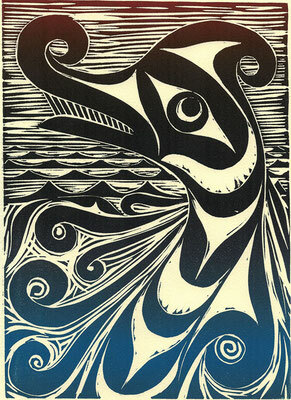 Alex used several linoleum plates to create his “Tailspin” series and brought the Northwest traditional form to its most basic element–the “U” shape. 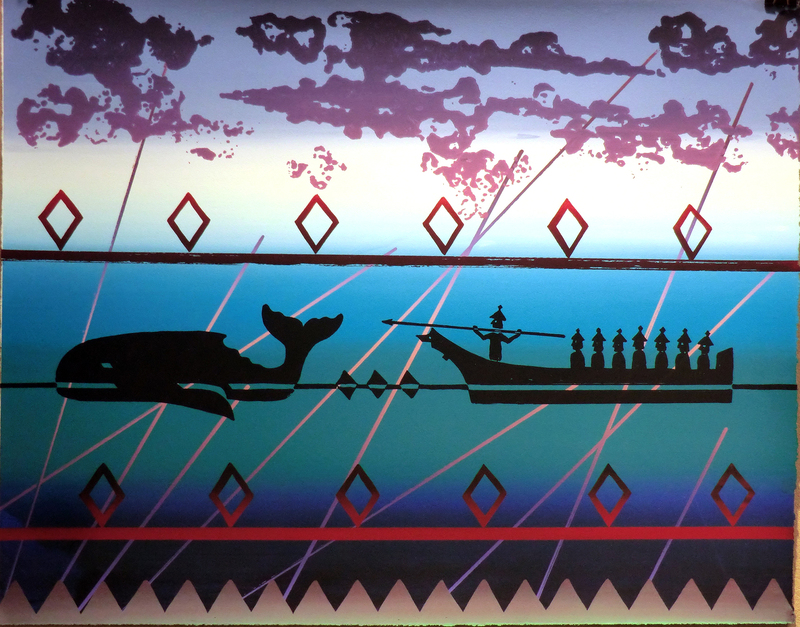 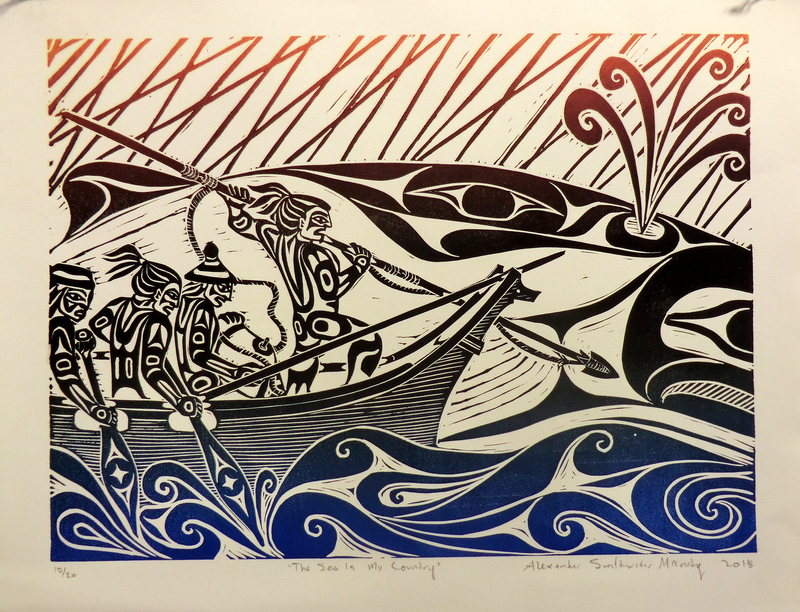 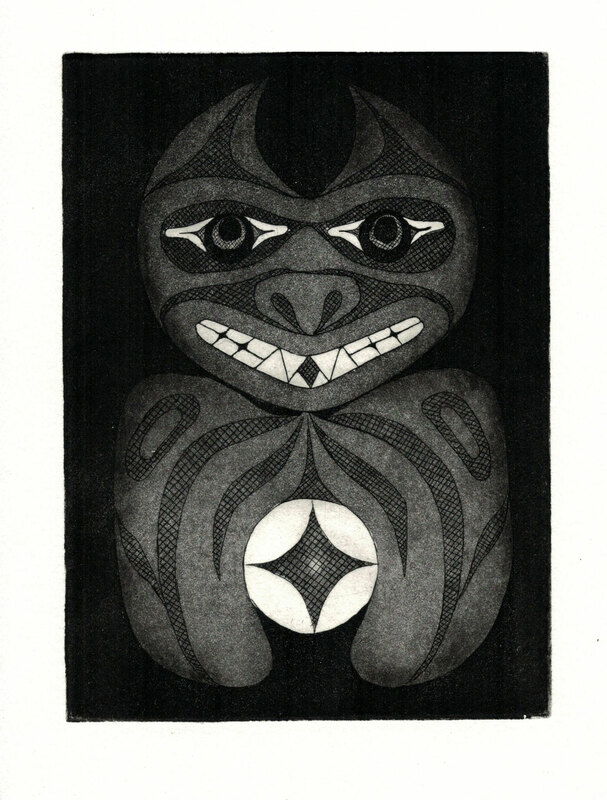 For “Culture Shock,” he used woodblock carvings and incorporated traditional Makah designs. 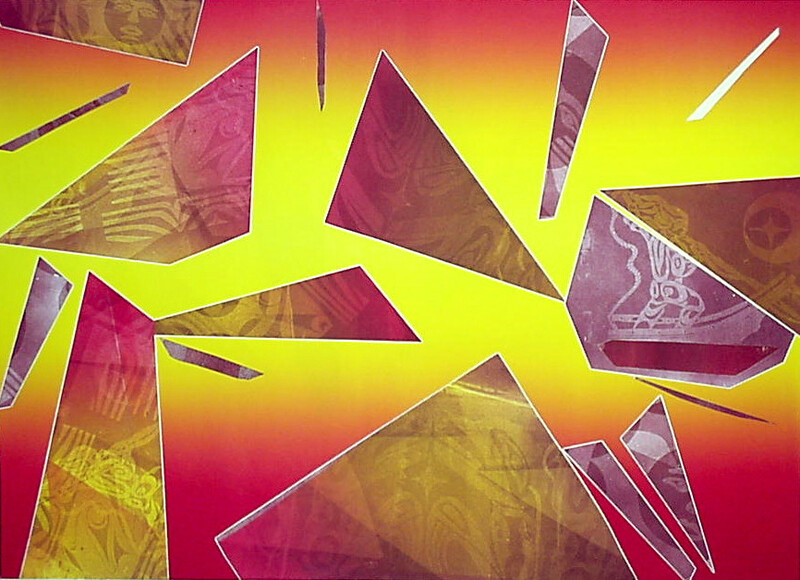 One of the things he likes to do is to reverse his plates in order to create different effects.